What Is a "Takeaway Resume," and How Can It Help You? Felician University was ranked by PayScale.com as the #3 private institution in New Jersey for 20-year net return on investment (ROI) on its 2017 “College ROI Report: Best Value Colleges” list. ROI is defined as the amount a student can expect to earn over a 20-year period after graduation. As a university with a “small-town” feel within a major metro area, you get the best of both worlds! Take advantage of our location only 10 miles from New York City as you explore internship opportunities, world-class museums, and a vibrant art world. Walk around our two campuses or talk to current students and you’ll experience the energy and excitement at Felician University. You’ll see students walking by on their way to a computer graphics class or rushing off to an internship in New York City. Or you might hear the crowd cheering from the gym as they support our men’s and women’s NCAA Division II sports teams. 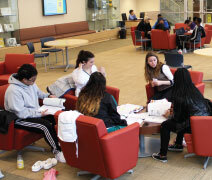 The new Education Commons serves as a busy campus hub, with high-tech classrooms, a digital media lab, Nursing Resource Center, campus library, and group study areas. You will also sense a commitment to you that is deeply rooted in our Franciscan spirit, which embodies our love of learning, commitment to service, and respect for all creation. Diversity is central to student learning at Felician University. You will find a comfortable and inclusive setting where you will become prepared for an increasingly complex and diverse society. Teacher, nurse, network security analyst, or entrepreneur—there’s a major for you! Life at Felician University is anchored in the classroom, with outstanding professors, interesting courses, and challenging, hands-on learning experiences. What are you going to study? Choose from a broad selection of majors, minors, and concentrations in art, science, business, nursing, and education. Or if you’re looking for something on the cutting edge, you might consider our newest majors in Cybersecurity, Exercise Sports Science, “Big Data,” or our five-year combined BS/MBA degree in Business. If you’re undecided about what to study, you have the freedom to explore your degree options and learn about different career paths. 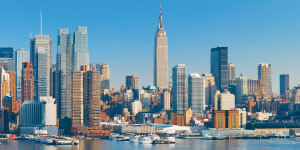 Our curriculum and internship programs make regular use of the possibilities presented by our close proximity to New York City—the Rutherford campus is only 10 miles west of Midtown. World-class museums, a vibrant art world, and a global hub for business serve as an extension of your classroom. Recent internship sites include KPMJ, the FBI, Investors Bank, and 1010 WINS radio. Motivated, high-achieving students can enrich their college experience through the Honors Program and earn the distinction of graduating as an Honors Scholar. Honors classes are smaller in size than traditional classes, allowing for close interaction with professors. You’ll be able to conduct independent scholarly research with faculty guidance. Field experiences are a key part of many of our academic programs. You will make connections between the knowledge learned in the classroom and how that knowledge is applied in the real world. • Education majors complete six field internships before the clinical internship (student teaching)—that’s 360 hours in real classrooms. You will experience teaching in your freshman year so you can decide if teaching is the right career path for you. • Our state-of-the-art Nursing Resource Center provides a realistic health care environment where Nursing students perform various medical procedures using technological mannequins. Students gain invaluable clinical experience through skills labs and live demonstrations. • Senior Nursing students choose a clinical area of specialization and spend one day a week working a 13-hour shift under the supervision of an RN clinical preceptor. Our professors are here because they love to teach. With industry experience and advanced degrees, they use their real-world experience to help you develop leadership qualities and push you in new directions. • Felician University continues to have one of the highest numbers of student nurse members in the New Jersey Nursing Students Inc. (NJNS), a pre-professional organization representing the Nursing students of New Jersey. Several students serve as board members for NJNS, an extraordinary accomplishment for our Nursing students. • Because of our rare designation as a non-governmental organization, Felician students have a unique opportunity to attend United Nations conferences and meet politicians, diplomats, and ambassadors from around the world. The UN Fellows program is open to all students of any major. The best way to experience our Felician University spirit is to visit us. Discover the many learning opportunities waiting for you—both inside and outside the classroom. We can’t wait to show you! Sign up at felician.edu/visit. 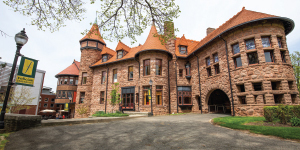 Student-guided campus tours depart from the historic Castle on the Rutherford campus and are offered year-round, except during school holidays, Monday through Friday at 10:00 am and 2:00 pm. To set up a visit or learn more, contact the admissions office at 201-355-1465 or admissions@felician.edu, or visit our website at felician.edu. Copyright © 2019 Carnegie Dartlet. All rights reserved. Directory Data is copyrighted material under license to Wintergreen Orchard House and which is reproduced by permission of Wintergreen Orchard House. All rights reserved.